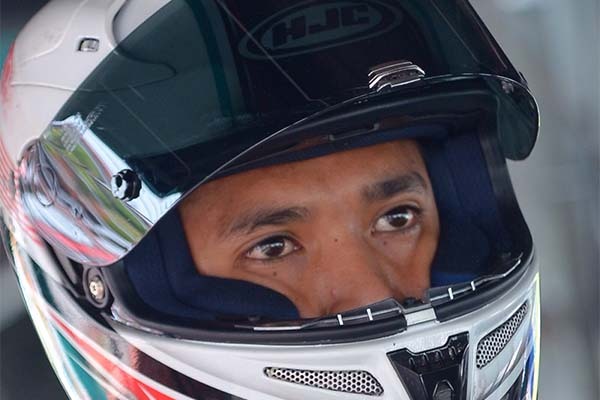 An enthusiastic Ahmad Afif Amran is off to a rapid start, topping the CP130 opening practice for Round 7 of the PETRONAS AAM Malaysian Cub Prix Championship in Teluk Intan, Perak on Saturday. The PETRONAS Yamaha CKJ rider fought the haze and extreme heat to blaze to the top of the timesheets in 55.447s, edging out rookie Hafiz Nor Azman (Harian Metro Y-TEQ SCK Honda Racing) by 0.218s. Amirul Ariff Musa (Givi Honda Yuzy Racing) who aced FP2 recorded the third quickest time in 55.684s with Abdul Muhaimin Roslan (PETRONAS Yamaha Maju Motor) and Mohd Fitri Ashraf Razali (PETRONAS Yamaha CKJ) completing the top five. Others who made the SuperPole cut include Elly Idzlianizar Ilias, Zaqhwan Zaidi, Taufiq Roslan, Sasitharen Sukumaran and Adib Rosley. Content with his pace, Afif sets his sight on securing front row in the SuperPole tomorrow and hopefully repeat his winning form at the 1.3 kilometre circuit. The Terengganu-lad won here last year in a hard fought battle with Zaqhwan, stealing the chequered flag from his rival in the dying moments of the race. “The practice session was difficult with the haze and sandy track but the team did an amazing job setting up the bike swiftly and that gave me an advantage over the field. However, I don’t think we are fast enough with the top-13 riders separated by less than a second,” said Afif. “Nevertheless, I am at ease with the bike now so I hope to translate today’s pace into a front row start tomorrow. Only then it will be possible for me to fight for victory. My goal here is to pick up maximum points and bridge the point gap with Ahmad Fazrul Sham,” he added. Afif’s early season form this year has seen him slip 37 points behind Fazrul Sham (Yamalube AHM), but the gap has continued to come down in recent races after he bagged two second place finishes in Melaka (Round 5) and Kangar (Round 6), slotting him fifth in the standings with 58 points. 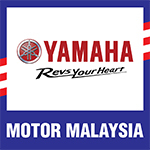 Meanwhile Motul Yamaha YY Pang’s Izzat Zaidi Salehan is set to head Sunday’s Shootout after he appeared fastest in the CP115 practice with 56.858s. The defending Champion however was hoping to drop his lap time further but an oil spill forced race officials to end the session early. Runaway leader, Kasma Daniel Kasmayudin (PETRONAS Yamaha Maju Motor) who has won four races straight delivered the next best effort in 56.862s ahead of teammate, Izrul Huzaimie Amran with 57.612s. Azam Omar (PETRONAS Yamaha CKJ) and Ahmad Syukran Aizat rounded up the top five. Lastly, Khairul Ikhwan Ajis (Espada Williams Racing) topped the WIRA category in 57.907s, 0.145s ahead of Kozi Yam Honda Racing duo, Harith Farhan Baharin and Shafiq Ezzariq with 58.052s and 58.357s respectively.